Cased, finished in black paint on metal, with chrome fittings. Battery powered, with batteries retained in handle. Case: Black, faux leather, with thin pressed brass external clasp. Internally fitted with recesses for the ophthalmoscope parts, lined with royal blue silk and velvet. 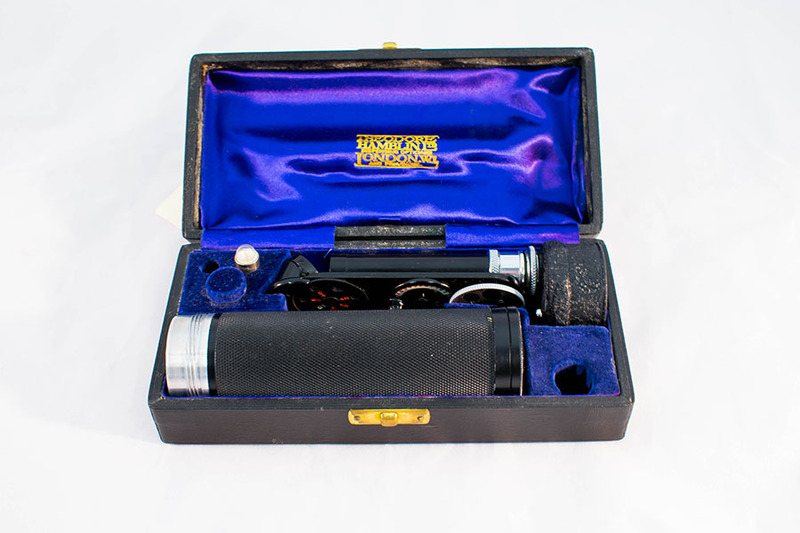 Ophthalmoscope: Standard Lister-Morton model, battery powered. A. Stanford Morton was an ophthalmologist active during the late 19th century. He designed a new style of ophthalmoscope during the 1880s, which would have shone light on the eye via several mirrors. The original design remained unchanged for over 100 years, with one slight variation being the Lister-Morton ophthalmoscope. 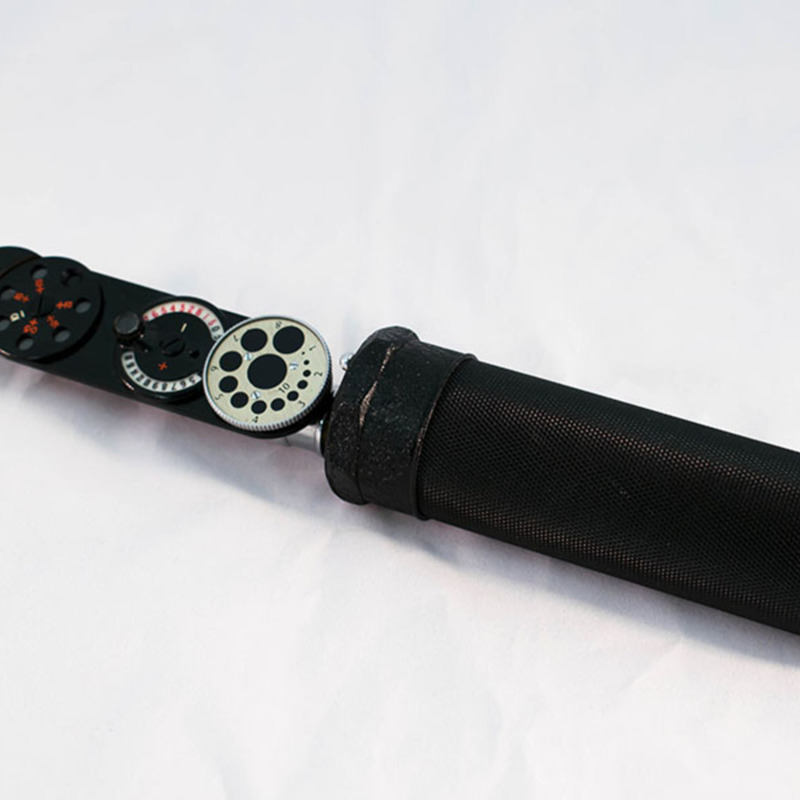 This Lister-Morton ophthalmoscope is powered by a battery, which illuminates the eye via a built-in torch. The Lister spoken of in the title of this instrument is not Sir Joseph Lister, but his nephew, Sir William Tindall Lister. He was the one who added an electrical component to Morton's classic model of the ophthalmoscope. Metal, faux leather, silk, velvet. 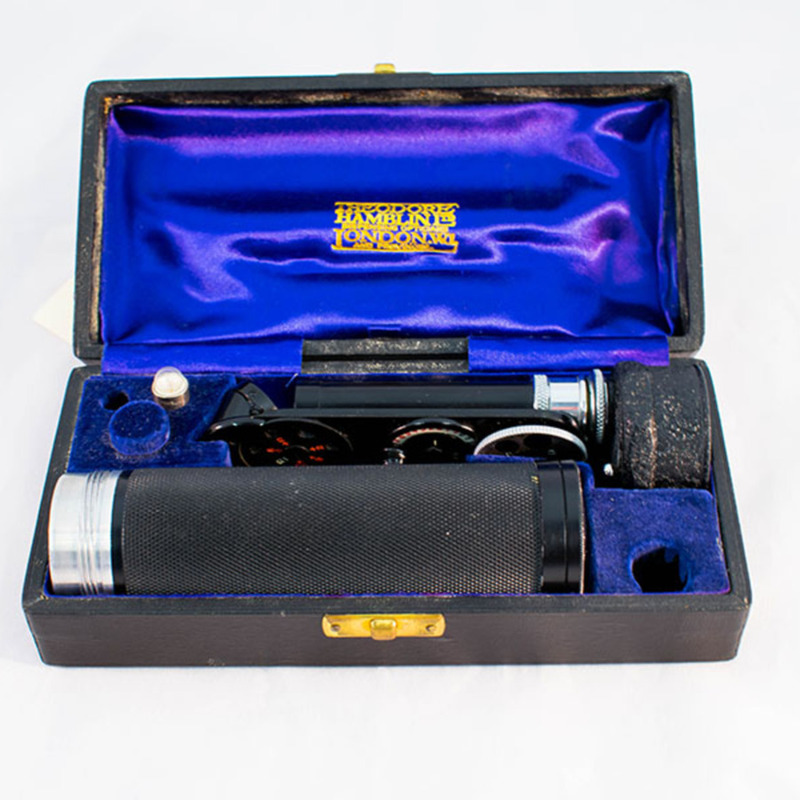 Theodore Hambline, “Lister-Morton Ophthalmoscope,” Heritage, accessed April 20, 2019, https://heritage.rcpsg.ac.uk/items/show/63. Description: Cased, finished in black paint on metal, with chrome fittings. Battery powered, with batteries retained in handle. Case: Black, faux leather, with thin pressed brass external clasp. Internally fitted with recesses for the ophthalmoscope parts, lined with royal blue silk and velvet. Ophthalmoscope: Standard Lister-Morton model, battery powered. A. Stanford Morton was an ophthalmologist active during the late 19th century. He designed a new style of ophthalmoscope during the 1880s, which would have shone light on the eye via several mirrors. The original design remained unchanged for over 100 years, with one slight variation being the Lister-Morton ophthalmoscope. 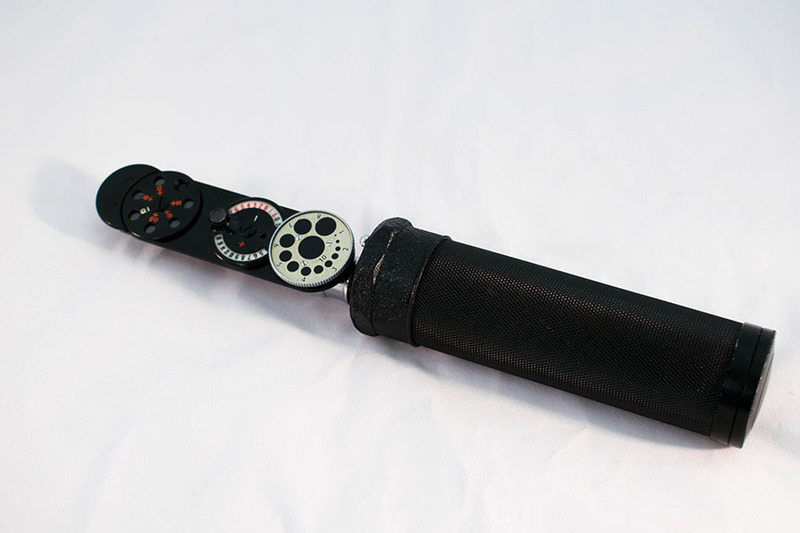 This Lister-Morton ophthalmoscope is powered by a battery, which illuminates the eye via a built-in torch. The Lister spoken of in the title of this instrument is not Sir Joseph Lister, but his nephew, Sir William Tindall Lister. He was the one who added an electrical component to Morton's classic model of the ophthalmoscope.